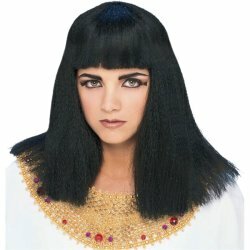 Cleopatra Wig. One black wig with plaited, shoulder length tresses, Hand wash. 100% synthetic fiber. One size fits most.